The homestudy process can be overwhelming and time consuming. However, Adoption Covenant can make it easier and faster. 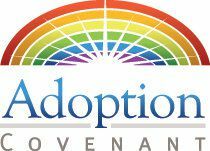 Adoption Covenant will expedite your homestudy whether you are adopting with Adoption Covenant or another agency. We provide homestudies throughout the State of Texas. Often we can complete your homestudy within two to three weeks after you have submitted all of your paperwork. We will even help you figure out where to obtain vital records. Our fees are competitive with those of agencies which may be located closer to you.